Dr. King was murdered because he was bringing the Poor People’s campaign to Washington in an attempt to shut down the war on Vietnam so those funds could be used for peace, people and justice. It was a contest then and now between love and war. “I think it is necessary for us to realize that we have moved from the era of civil rights to the era of human rights…When we see that there must be a radical redistribution of economic and political power, then we see that for the last twelve years we have been in a reform movement…That after Selma and the Voting Rights Bill, we moved into a new era, which must be an era of revolution…In short, we have moved into an era where we are called upon to raise certain basic questions about the whole society. 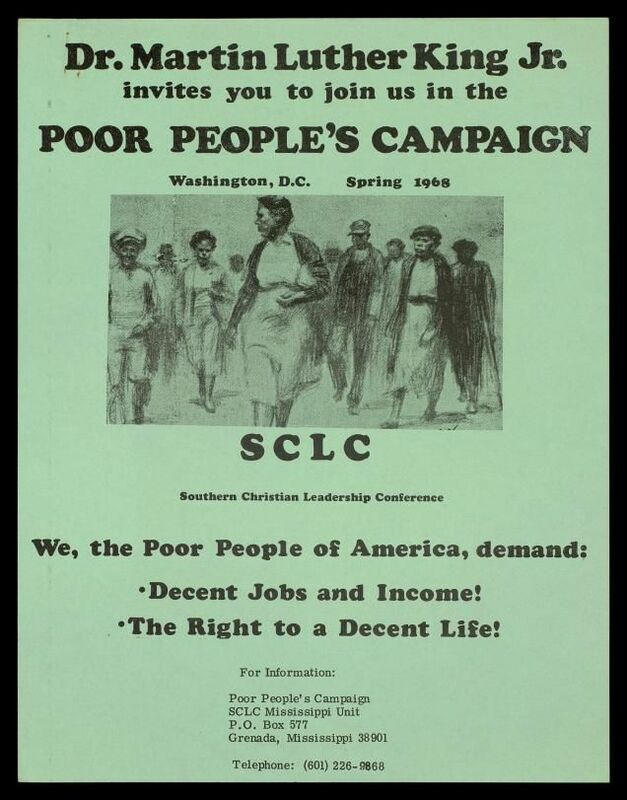 ...Unfortunately, the unity and organization needed for the Poor People’s Campaign of 1968 to complete all three of the planned stages and form the “new and unsettling force” capable of disrupting “complacent national life” and achieving an economic bill of rights was not easy to come by. …Today in 2018, fifty one years later, this same commitment is needed from all leaders interested in taking up King’s mantle. Martin Luther King Jr. demonstrated the difficulty and necessity of uniting the poor and dispossessed across race, religion, geography and other lines that divide. 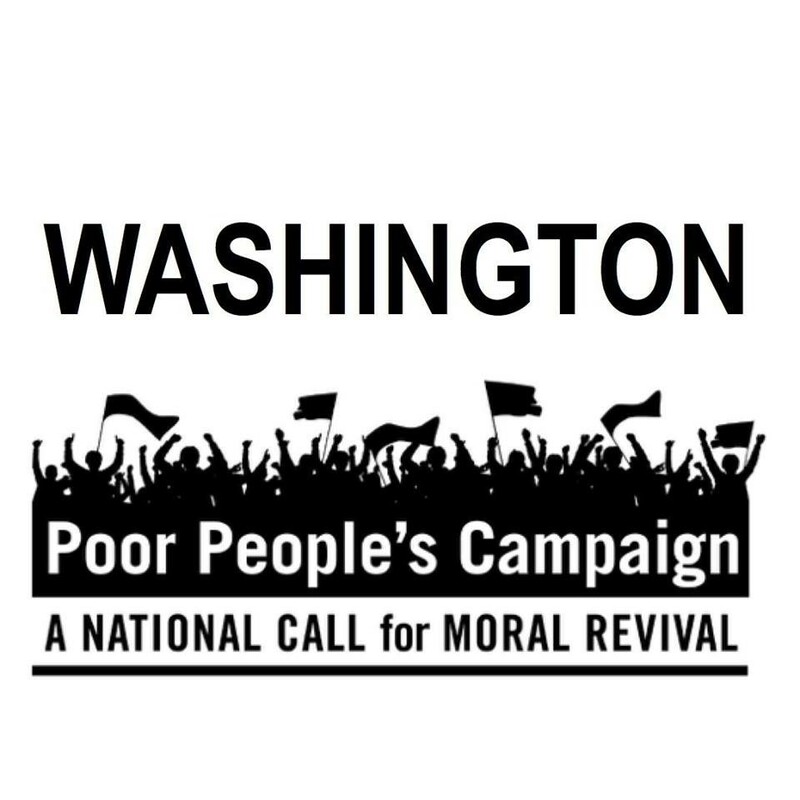 In building a Poor People’s Campaign for our times, we completed an analysis of the 1967-68 Campaign and stand on the shoulders of those who came before. We have learned lessons and are in step together to march again. Efforts to shut down the ongoing and expanding 27 unprovoked wars of aggression are based on these same principles. Today, racism, militarism and corporatism are enforced by the CIA and the Pentagon. The rule of law has been suspended in America. Now a racist, as despicable as the assassins who murdered Dr. King, sits and smirks in the White House. The corporate elite have bankrupted the nation and will end this American experiment before 2030. We still need a revolution. Everyday people oppose arbitrary American aggression abroad while infrastructure is falling apart at home. A surrender to corporate elites has bankrupted the nation, lowered wages and shipped critical jobs overseas. We can do better. We can shut down these wars and rebuild a sustainable and healing planet. People are beginning to THINK! 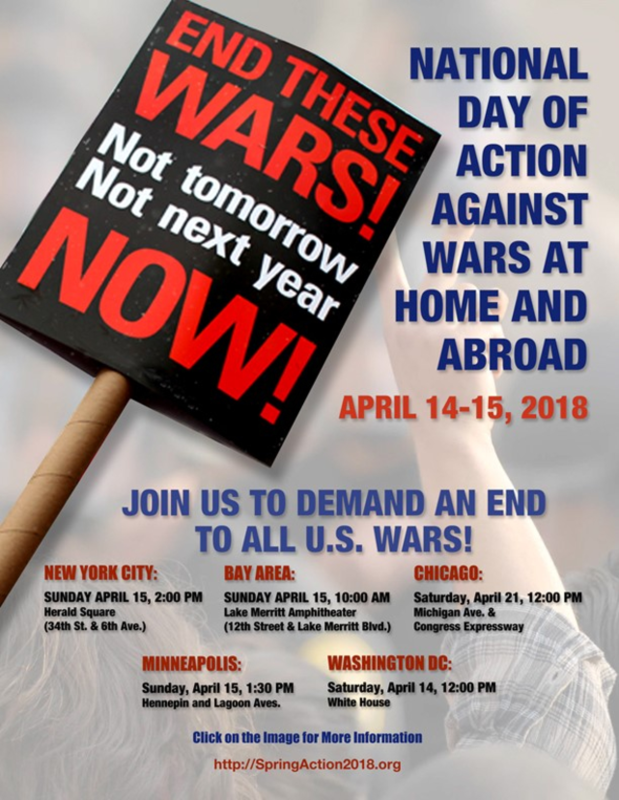 Anti-War Spring Action 2018: Takin’ it to the Streets!